At My Gym We Are Terrific! It's not easy to find a perfect extra-curricular activity for your child. And by perfect I mean: something your child will enjoy, something you as a parent find beneficial and/or educational, fits into your AND your child's schedule, reasonably priced, a place where your child will be safe and can socialize at the same time and relatively close by in terms of distance. This is not an easy task for any parent! 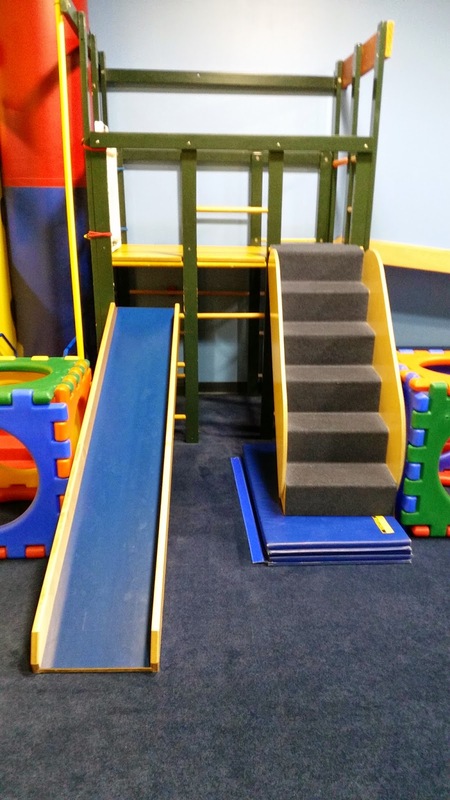 So, as I was wrecking my brain for the millionth time, trying to fit a simple trial class into our kids' and our busy schedule (you may have already red my previous story on "The Pure Joy of Free Play" ), my friend called me and told me about this wonderful place called My Gym Children's Fitness Center, a.k.a. My Gym. "What's My Gym?, I asked her. "It's great, I take my daughter there. They have swings, warm-up, good exercise, etc..", she tells me (her daughter is 1+ now). Very interesting, I thought. 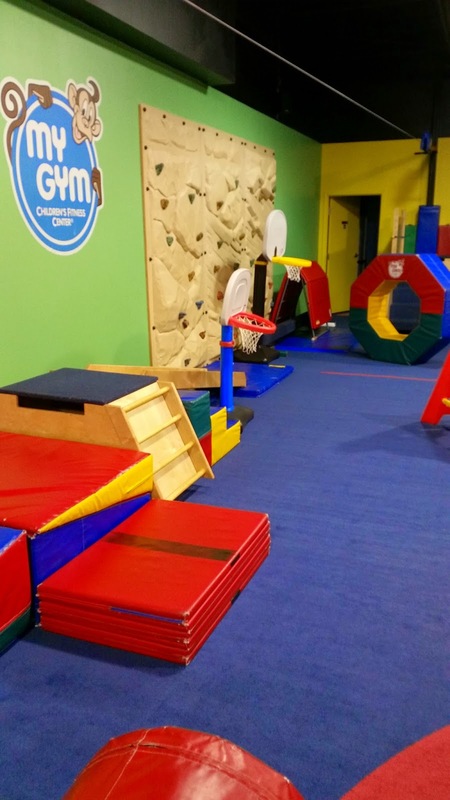 We often talked with my husband about signing up our son for gymnastics, so why not try this place out. I called and scheduled a free trial class for my boys (ages 2.5 and 3.5). As soon as I walked into My Gym, I knew this place was a winner. As a parent (and especially with your motherly instinct), you just know when something is so right for your child. And this place was more than right, it was perfect!!! My Gym is a wonderful facility and fitness center. (By the way, this is not a paid advertisement.) 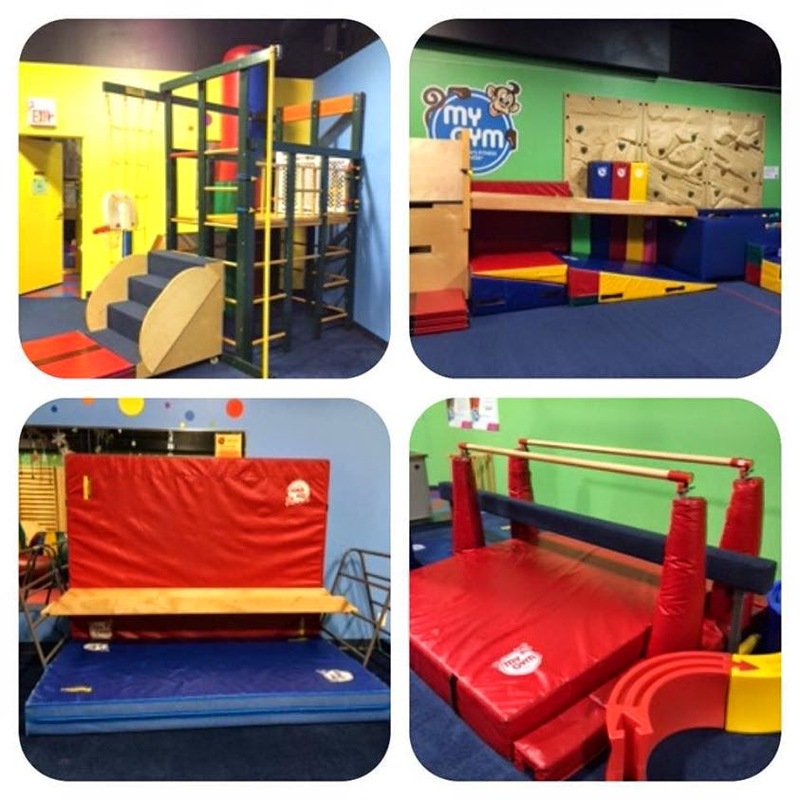 It is a fitness center for children ages 4 months to 13 years of age, designed to help children develop physically, cognitively and emotionally. Remember in the very beginning I said that I was looking for something fun, benefical and educational at the same time? Well, check, check and check!!! At My Gym, programs and classes are structured and tailored to each age group. 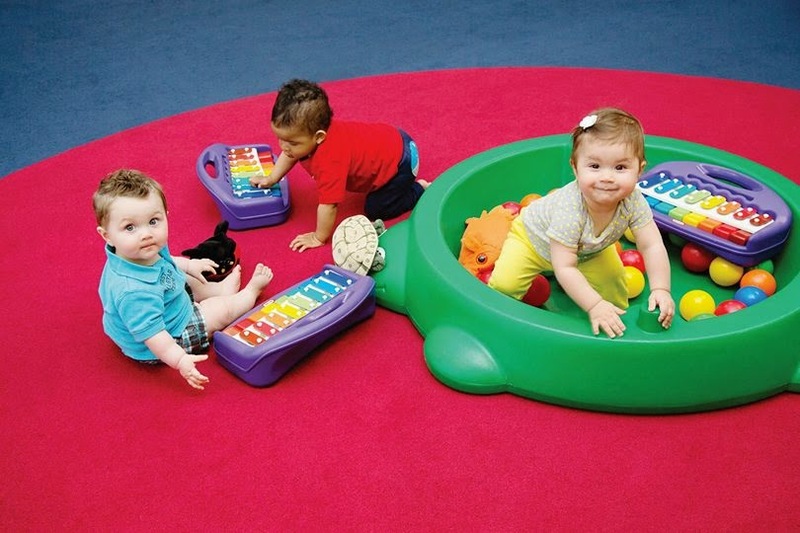 The weekly classes incorporate music, dance, relays, games, special rides, gymnastics, sports, puppet shows and much more! 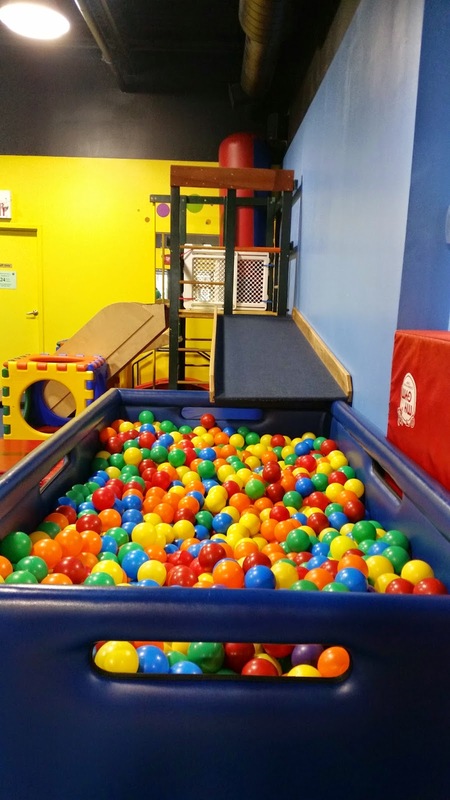 Children have tons of fun jumping into the big ball pit, jumping on the trampoline, climbing ladders, doing somersaults, while gaining strength, balance, coordination, agility and flexibility. And yes, as you must be thinking, your child will spend all his/her energy in a healthy way! 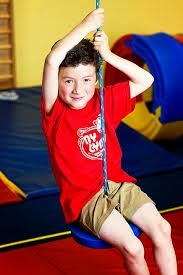 What's more, is that at My Gym, your child will also develop social skills, gain confidence and self-esteem. What more could you ask for?! As I mentioned already, kids enjoy a large spectrum of activities, ranging from gymnastics to puppet shows. For these to be fun, effective, and most importantly safe, you need to have a state-of-the-art facility. But don't worry, My Gym has it all covered:)! It is not a huge place, and fairly compact, which is what I love about it. 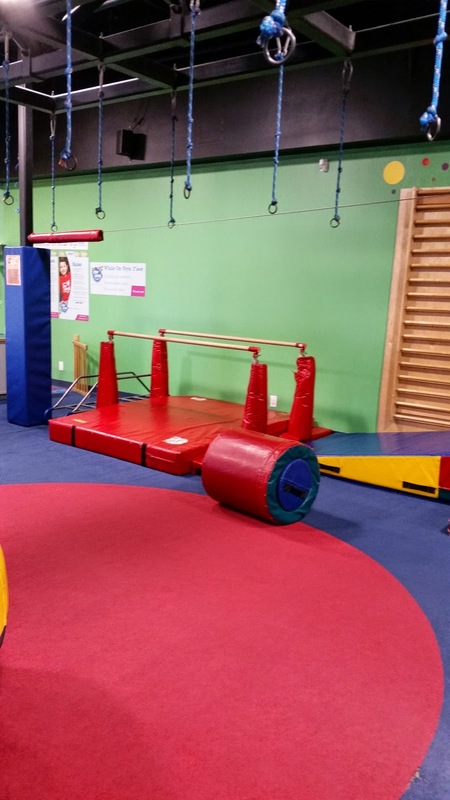 All of the gymnastics, jumping, climbing equipment is always set up in a safe way so that children will not get hurt (regardless how rough they play). All children must be barefoot at My Gym for safety reasons, to avoid slipping and falling. At first I was very hesitant to let my child go barefoot, but after a closer inspection I realized that it is done for a good reason - safety. And the facilities are extremely clean and well taken care of. There hasn't been a single complaint yet. The floors are carpeted and it's always warm, so you don't need to worry about your child being cold. My boys always run around barefoot and in t-shirts! And, most importantly, every week the equipment set-up is changed around or replace so kids can enjoy a 'new way' of playing:)! look at all those different tunnels! 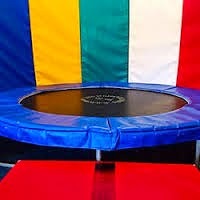 and of course, let's not forget the trampoline!!! Until about a week ago, this is what I knew about the staff: they look so fit!, they are fun, they really cater to the kids, they know how to work and have fun with kids while teaching them strength, balance and coordination skills, so they must be trained. When I looked into the staff qualifications, here is what I found: most teachers have 5+ years of experience coaching children, many have and ECE (Early Childhood Education) designation, and most have some kind of accreditation in child development and/or fitness training. And believe me, you can tell from the way My Gym teachers play and work with kids! 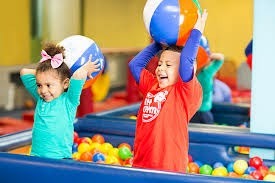 In a nut shell, My Gym has the reputation of being the best early learning program of its kind. Classes are limited to 15 kids maximum to maintain an excellent student/teacher ratio. There are always 2 highly trained teachers leading each weekly class. My Gym programs help children acquire social and physical skills, and confidence to grow healthy. There is always a feeling of positive reinforcement and making learning fun and exciting in an noncompetitive environment. Circle time: introductions and answering 1 fun question, e.g. "Which fun character do you have on your toothbrush?" Warm-up in the circle: stretch, wiggle, dance, etc. during circle time we socialize and have fun! PA Day Camp - 2 hours full of games, relays, sports, puppets, gymnastics, arts and crafts, story time, and much more! This is ideal for 3-8 year olds. $30/member & $20/sibling. Next PA Day Camp is Friday, June 5, 2015. March Break Camp - Friday, March 13 - Friday, March 20 1-3 pm - Register your child to join 2 hours full of games, relays, sports, puppets, gymnastics, arts and crafts, story time and much more! 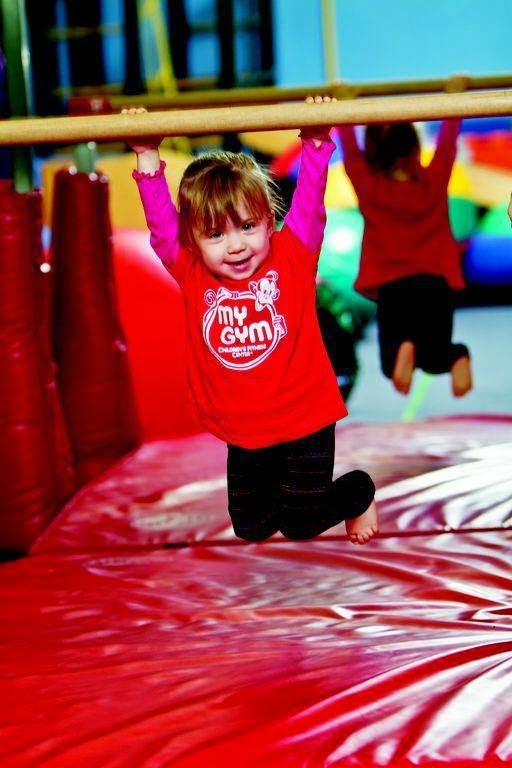 My Gym Camp is designed to enhance physical and emotional growth, all while keeping your child's enjoyment the top priority! 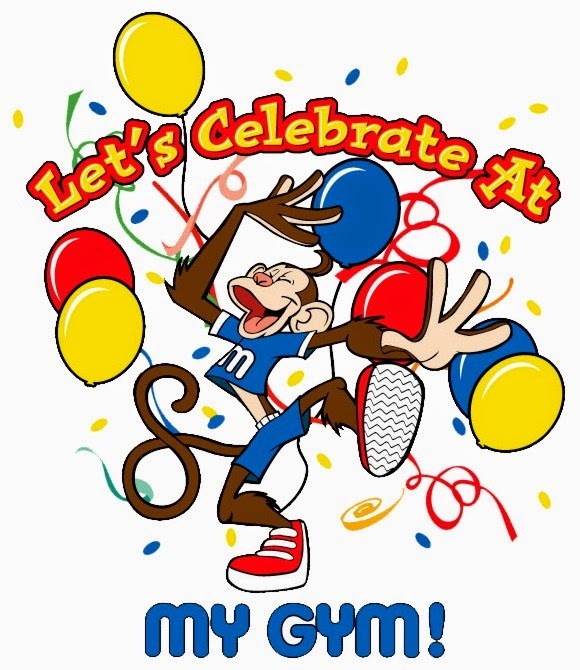 Birthday Parties - My Gym also offers great, fun, entertaining and educational birthday parties on Thursdays and Fridays 6-7:45 pm or Saturdays and Sundays 1-2:45 pm or 3:30-5:15 pm. The birthday party package includes the following and more: planned activities with 2 experienced teachers for 1 hour and 45 minutes for 15 children and 25 adults (max 20 kids with an additional fee), invites, food accessories, set-up & clean-up, and more. Contact My Gym website for more details. And now for class schedules... There are so many to choose from, something that was impossible to coordinate at other after school activities. Check out for a detailed class schedule near you. Play Time - an Extra Bonus! As a member you get to enjoy Practice & Play time with your Loved One once a week for free (and as a member, you often get coupons for additional free play times). Any additional times cost $7/child. My boys attend 1 class a week, and I take them for play time once week. They go bananas! 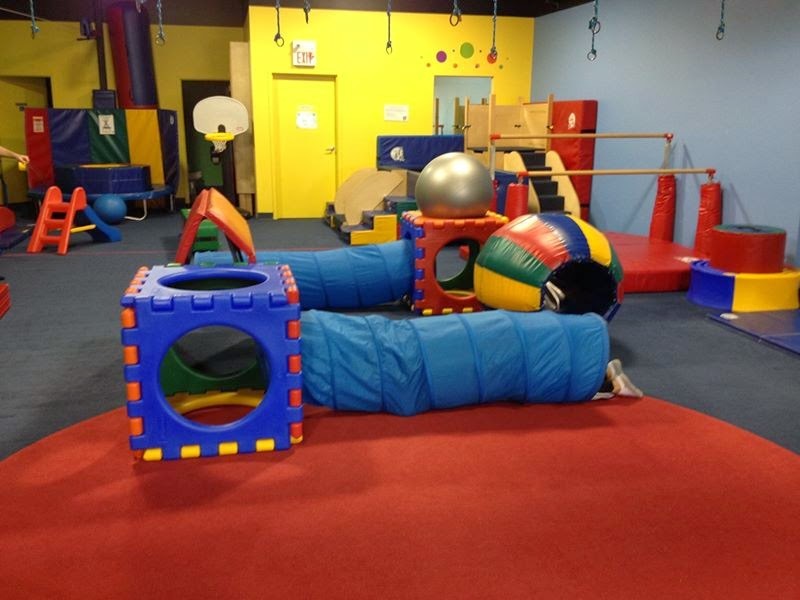 I really like the fact that play time is exclusive to members, so it is not a crazy germ spreading place like an indoor playground. Practice & Play times are during the week only, when there is no class or birthday party in progress. Check out Practice & Play times for your specific location at mygym.ca under the Schedules tab. In Ontario, there are 2 locations, one in Markham and one in Richmond Hill. 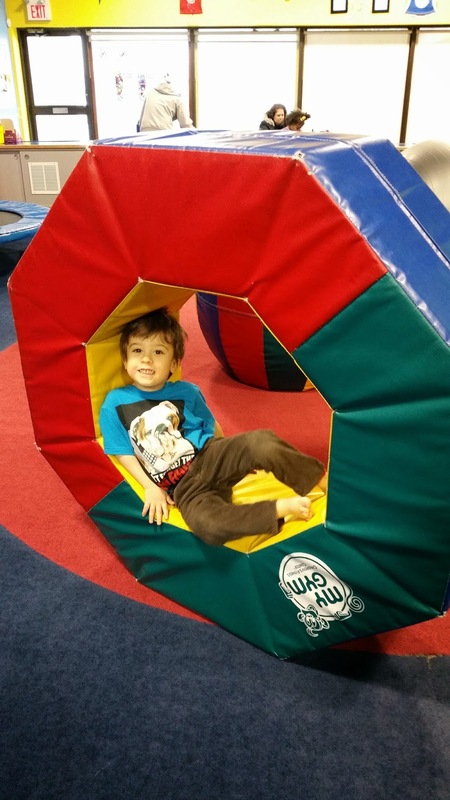 I see my oldest son develop develop independence and confidence at My Gym. With my youngest son, I see him developing more social skills, language and self-discipline. For both of my kids, I definitely see them feeling good about themselves and each other, while improving their 'weaker' skills. 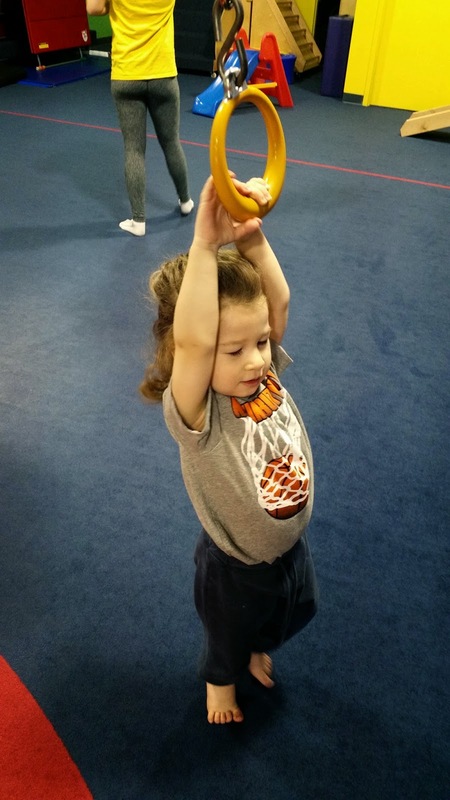 I couldn't have found a better extra-curricular activity for my children than MY GYM! So hurry, and schedule a trial class today! At My Gym, we are all terrific! TA DA! Stay tuned for our our next Contest to win a free pass to My Gym for a whole month! Disclaimer: This post was written by Stella V. All opinions are my own. This is not a paid advertisement.